Dominic MacSorley, Concern’s CEO in our headquarters in Dublin, reflects on the United States’ decision to pull out of the Paris Climate Change Agreement and its implications for our shared future. Yesterday, the US President confirmed one of our worst fears about his administration by pulling out of the Paris Climate Change Agreement. We awoke to a series of articles speculating on what this means for us and the very future of our planet. That has always been a central problem with addressing the issue of climate change. The enormity of its causes and implications is almost impossible to describe, and often so difficult to relate to that we, as humanitarian agencies, struggle to frame the gravity of its implications in a way that resonates with the public. 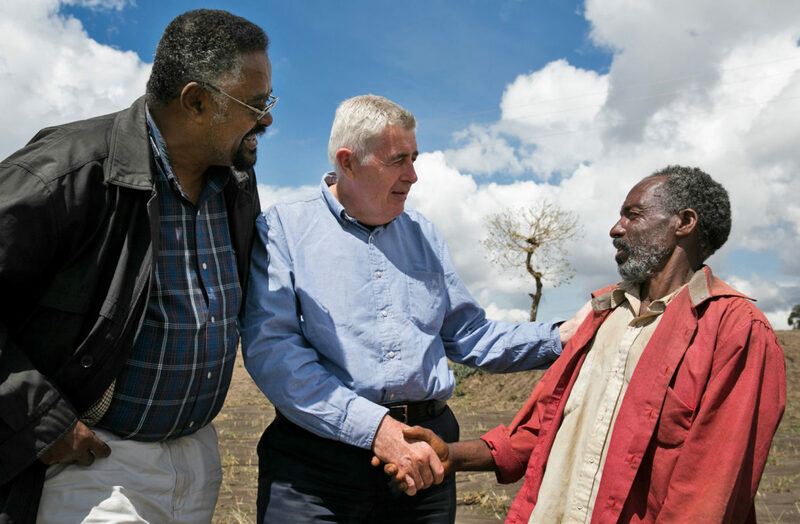 When I visited the scorched earth of Northern Ethiopia last year with former Irish President Mary Robinson, the immediate devastation of climate change was all too evident. I met a man who had worked all his life on his small patch of land that was once highly productive until successive droughts had destroyed it. Unable to cope and at risk of starvation, he and his sister fled Ethiopia with the intention of reaching Europe for a brighter future. But like so many who have been forced to flee East Africa as a result of conflict or climate change, he was betrayed by people smugglers and never reached Europe. He was detained in Saudi Arabia and his sister died along the journey. A retreat from our obligations to the planet is also a retreat from our obligations to those who live on it, as fellow human beings. Now, back in Ethiopia, the threat of drought had returned to his land, this time multiplied by the overwhelming force of El Niño, and he was once again brought to the precipice. Fortunately, he was now a participant in the Irish Aid funded humanitarian assistance program in the region and was able to survive, but his harrowing ordeal — a direct result of the erratic rainfall patterns and merciless droughts brought about by climate change — has become all too typical across East Africa. For so many more on the brink of famine in 2017, the situation is ever more grave. 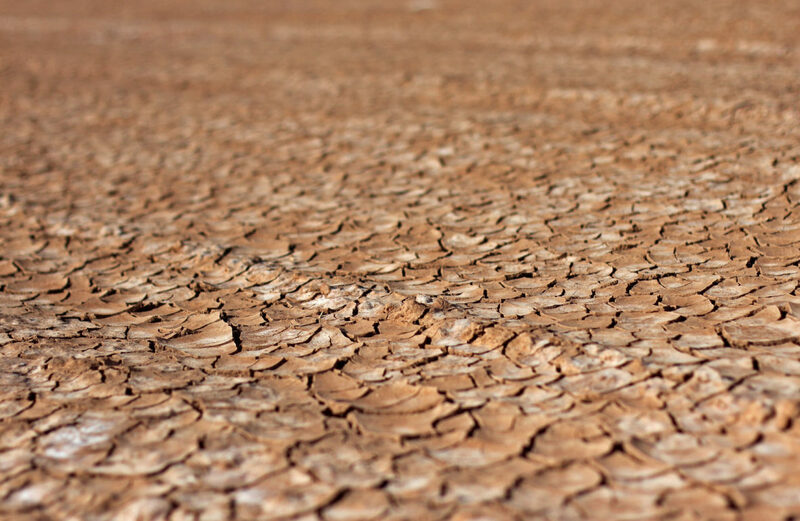 The scorched terrain in Northern Kenya as a result of drought. Photo: Jennifer Nolan. Climate change is beginning to affect us all, and countries like the U.S. stand to lose a great deal by warming waters and intensified weather patterns, but it is already taking the greatest toll on those who are most vulnerable — those who are most dependent on the elements for their livelihoods and their very survival. A retreat from our obligations to the planet is also a retreat from our obligations to those who live on it, as fellow human beings. When we make decisions today that deepen the suffering of the most vulnerable tomorrow we are eroding our own humanity. At Concern, we have seen the disastrous effects of climate change on the world’s poorest for years, and are working with farmers and communities on strategies to mitigate the effects of this devastation. These methods are effective but they will never be enough. For those living in the path of increasingly frequent cyclones in Bangladesh or the unforgiving droughts across East Africa, time is running out. That is why what matters most now is how we all respond to yesterday’s decision. I am enthused by the vigor of response we have already seen from leaders like Emmanuel Macron and our own Mary Robinson, and the enhanced support that China and the European Union have already pledged. And if there is a silver lining to this dramatic negative development in the United States, it may be that the world truly wakes up to the gravity of the threat that climate change presents and the extent to which we must all respond in solidarity. Indeed, if there is a silver lining to the threat of climate change itself, it may be that our shared vulnerability reinforces our shared humanity, and the determination of our response lays a marker for how we deal with similar issues of global justice such as conflict resolution and food security. In 2017, with more people around the world dependent on humanitarian aid than ever, and over 20 million people at risk of famine, there is a greater need to reinvigorate these forces of idealism, humanitarianism, multilateralism and global compassion than ever before. The Paris Agreement was a golden moment in time when the world came together and laid the groundwork for an extraordinary compact between rich and poor nations, a promise to slow down the erosion of our planet. In a time of perhaps greater hope and global ambition John F. Kennedy once said of great collective struggles that we do them not because they are easy, but because they are hard; because they serve to organize and measure the best of our energies and skills, because their challenge is one that we are willing to accept, one we are unwilling to postpone. The Paris Agreement was a golden moment in time when the world came together and laid the groundwork for such a challenge, an extraordinary compact between rich and poor nations, a promise to slow down and even halt the erosion of our planet. This decision will not derail this ambition. If we are united and organized, it will reinforce it.